Does doing something fun, physical, satisfying, worthwhile and rewarding on the Isle of Eigg on the West Coast of Scotland sound interesting to you? If so, then read on…. The Isle of Eigg Heritage Trust’s new Tree Nursery introduces an exciting and unique volunteer opportunity on the island. It will host a wide range of opportunities for volunteers to experience (depending on the season) or learn all aspects of growing and planting trees; from seed collection, storing, germinating, tree care, land and habitat management, small and larger scale re-planting projects, learning about indigenous species, bio-security and biodiversity. The tree nursery has been established for the purpose of restoring our native woodlands along with some of the more exotic species found in the Lodge gardens with all the seed collected from the island. We are also working alongside our woodfuel team to grow productive, native and non native species for our forestry plantation. A tree nursery week will provide a valuable learning experience promoting the work and importance of woodland restoration, not just for those interested in the environment and conservation, but will provide an excellent example of self-sufficiency, self-sustaining project and a positive example of working together with nature. As a community, we want to build on opportunities for people to learn new things, to experience life in a small community, to have fun, have a break from city life and improve our networks with surrounding communities at the same time as working on a significantly valuable project for our community and environment. Tree nursery weeks are inclusive to all, offers non-pressured timescales, small group working, one-to-one learning opportunities, all fully supported and supervised. 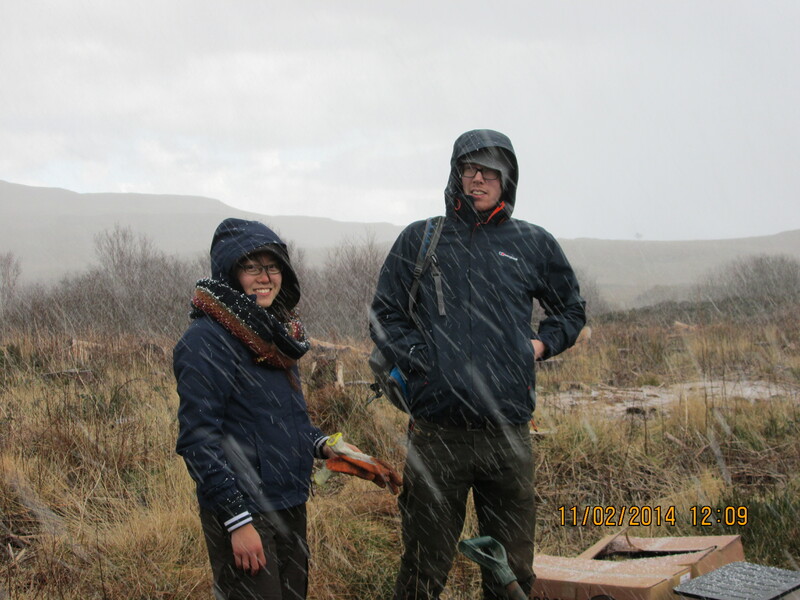 Volunteers have the opportunity to extend beyond the skills and knowledge gained from the tree nursery, to learn about Eigg’s wider woodland management programme, working in conjunction with our recently approved Long Term Forest Plan. You will also experience life on a small island, community living and develop a greater understanding of Eigg’s natural heritage and landscape. Eigg is an encouraging and nurturing environment, a place where individuals are offered a safe place to develop new skills, build on communication, social interaction, initiative, opportunities for working independently, to take the lead, as well as working within a team. Helping the planet: Doing something positive and empowering to help the planet. Contact with nature: Spending a week working amidst the breathtaking landscape, ever changing light, diverse wildlife and the simple beauty of the Scottish Highlands and being inspired by the wilderness. Sharing with others: Living, eating and working with like-minded people and learning about community living. Education: Learning about ecological restoration through practical work and direct observation. Each conservation week group is led by a skilled and experienced volunteer team leader. Up to six volunteers can come on each week. You must be 18 or over to participate. There’s no upper age limit but the work can be physically demanding, so you will need a reasonable level of fitness. Volunteers are free to find a pace of work they are comfortable with. Saturday – Arrival/settle in. Sunday – free time to explore the island. Sunday is a day off – you may choose to do something with the group, explore the local area or spend time on your own. In the evenings you have time to relax, eat, read, play games or tell stories – whatever you feel moved to do! Monday to Friday – tree nursery days. Saturday departure. Tree nursery weeks offer different hands on tasks depending on the time of year with the understanding that with the nature of the project, tasks are liable to change dependent on: seasonal changes, germination rates and weather conditions. We will do our utmost to encompass the tasks advertised for the week as much as is possible. We provide accommodation with shared rooms. The week starts with an introductory walk and talk on the overall forest management aims of the Trust. Most days run from 10am to 5pm. It is your responsibility to bring a packed lunch daily and provide all your own meals. Each task is explained and demonstrated before you begin with supervision throughout the day and we provide all necessary tools and safety equipment. Note: Please be aware with the nature of the project the tasks may have to be adjusted dependent on the stages of the seedlings due to seasonal changes, germination rates and weather conditions etc. Conservation land management tasks will be carried out as an alternative. Work takes place five days out of the week, no previous experience is needed to join our working holidays, just a willingness to roll up your sleeves and get your hands dirty! 6th – 13th April 2019~ Tree transplanting: The weeks activities will include preparing for pricking out seedlings, potting and pricking out seedlings, general polytunnel organising and watering schedules, weeding, outside ground prep and more. 6 places available. 13th – 20th April 2019~ Tree transplanting: The weeks activities will include preparing for pricking out seedlings, potting and pricking out seedlings, general polytunnel organising and watering schedules, weeding, outside ground prep and more. 6 places available. 29th June – 6th July 2019 ~ Tree Week: The weeks activities will include preparing for hardening off the trees, tree grading, stock rotation, moving stock to the outdoors, general tree nursery tasks, watering schedules and more. 4 places available. It costs the Isle of Eigg Heritage Trust to run each Conservation Working Holiday. We subsidise some places to allow folks from all walks of life to apply. Your contribution is valuable and if you are able to pay for an unsubsidised place we would be very grateful! Costs applicable to participants run on a sliding scale of fees, for a 7day conservation working holiday per person; £125 unsubsidised, £100 waged, £85 part-time waged and £60 for unemployed, student or other. Donations are also very welcome. Costs include accommodation.